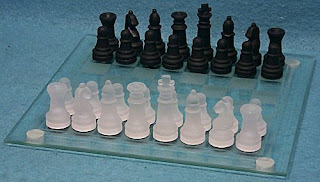 Last week, in lelong website, I bid for a chess set. I won. Let the pix above speak for itself. I don't really mind actually but quite dissappointed with the seller. Internet trading is not something new to me. But I never tried lelong website before. I prefer ebay. The items might not be that much but the transaction is always smooth and I never has any problem with any of the items that I bought. The seller hasn't responded yet. 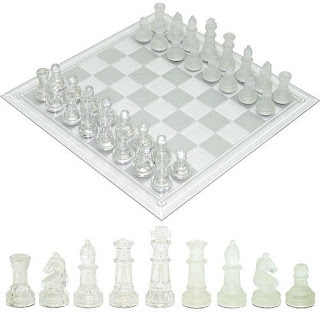 I think, maybe he/she forgot that I won the black piece and not the white piece instead. I didn't rate this seller yet and I have no intention to. But thanks to him/her, I was rated good buyer. hehehe...takper la dah ade tuh jadikkan perhiasan ok jerk.